I always buy these from costco since they are a great deal. I feel I can hit them pretty long and still soft around the greens. Shot my 1st even par round with it last month. I'm a believer now! wonderful golf balls. wonderful feel. Its all around great, fairly inexpensive too. I've played pro-v1's many times and to me they dont feel as good. they're 40 dollars too. thats just a little much. You can get the exact same quality if not more out of these than you can with pro-v's. These are the best bet. 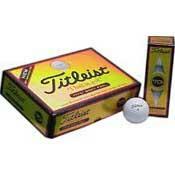 titleist pro-v1. Nike super far. Calloway warbird. my wife picked these up for me at costco for around 17/doz. it's a good enough ball but was too soft for a hard hitter. my father in law who hits the ball a lot lighter liked them better than i did.